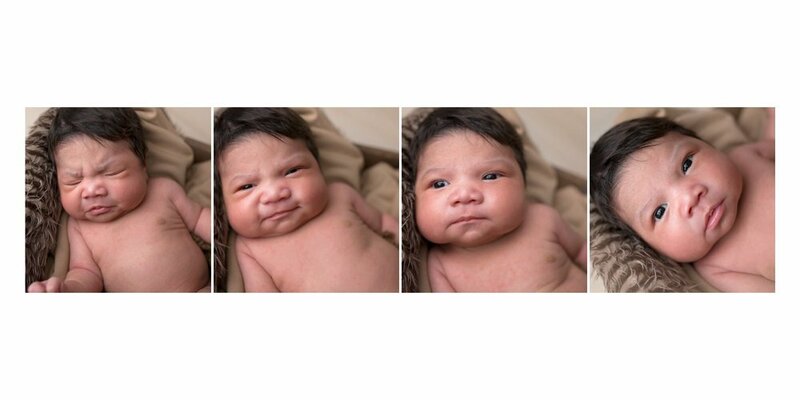 The number one question I receive from newborn inquiries is “When is the best time to do the newborn session?” For those inquiring parents who’s baby hasn’t been born yet, a good rule of thumb is 7-14 days. I even think this is probably typed in materials I have sent to expecting moms! The truth is, sometimes it is hard for a new mom to prepare her baby and herself for a session in the first 14 days, and that’s okay! Meet Noah, he is three weeks old here and isn’t he precious? Still sleepy and curly and cuddly, he was perfect for his session! Look how relaxed he was! Noah did wake up for a fast feeding! Hi Noah! He showed off a few of his expressions for us! 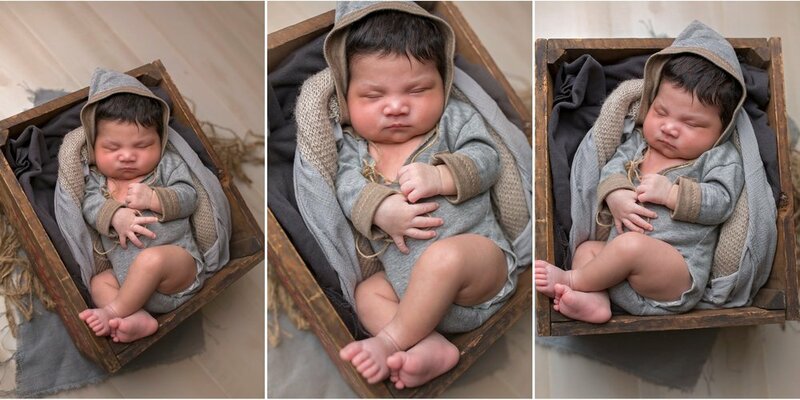 And then we swaddled him up and he was out again…wearing the much-requested bear bonnet! Did I mention that Noah’s mom and dad are Marines?! Well, they are, and I think that is pretty awesome! His mom brought this special outfit to get some special images for dad! Noah, you are precious! Thank you for being such an amazing little subject to photograph!